How does an author best get book reviews? What of interviews, blogs and social media? How can a new author expect to be seen while crowding the lane with other authors of his/her genre? 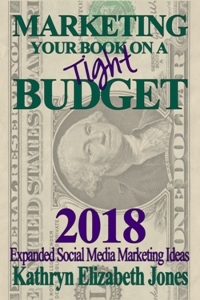 Marketing Your Book on a Budget is tiny for a reason; any author can afford it. But be prepared for the endless information enclosed. You'll never wonder again about the best ways to speak up about your book, get free advertising, or learn why postcards can help you get the word out faster and easier than any other way. It's easy to say you're going to market your book, far more difficult to actually do it, but this handy guide will help you every step of the way, even while your heart is pumping wildly the first time you have to speak about your book to someone else.